Soccer and Scouting is a program of the Boy Scouts of America specifically designed as an outreach to Hispanic youth and families. The program combines the fastest growing youth sport in America with the lessons and principles of Scouting. Soccer and Scouting program uses a sport familiar to Hispanic families to bring Scouting programs to youth in the community. 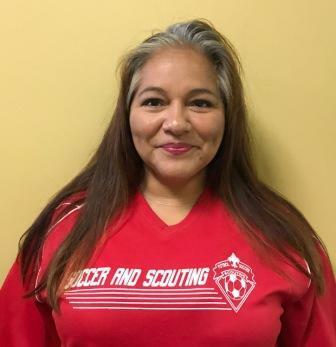 Many families currently involved in Scouting have a long standing relationship with Scouting programs or been previously exposed to them, however, this is not normally the case in Hispanic communities and Soccer and Scouting helps to bridge that gap. The program is for youth ages 6-17 or Cub Scout and Boy Scout age. Boys and Girls are welcome in the program and have the opportunity to learn soccer skills and play in soccer matches and tournaments while at the same time learning the life-long values taught in the Scouting programs. Scouting’s aims—character development, citizenship training, and mental and physical fitness—are what drive Scouting through Soccer at every level. Just like a Cub Scout den, time is devoted to an activity meant to develop a skill, teach a lesson, or provide an educational opportunity. Just as in every level of Scouting parents of youth are involved in the planning and success of den meetings, practices, and tournaments. In Soccer and Scouting, the practices and games are family events an are fun for everyone. 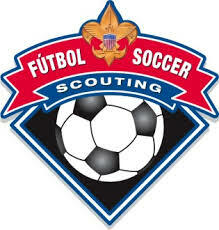 Boy Scouts of America ha desarro-llado su programa Fútbol y Los Scouts como un servicio para los jóvenes y las familias hispanas. El programa Fútbol y los Scouts combina el rápido crecimiento de los jóvenes y los deportes, (Fútbol ) que es familiar a la pobla-ción que no ha sido atendida, con Cub y Boy Scouting (de 7 a 16 años) y Venturer (niños y niñas entre 14 y 20 años) el primer programa para jóvenes en cons-truccion de la personalidad. , y al mismo tiempo los niños serán Cub, Boy Scouts y Venturer y aprenderán los grandes valores que se enseñan en el programa Scouting y que les servirán toda la vida. Los padres también participan en nuestro programa Fútbol y Los Scouts como padres auxiliares y entrenadores de fútbol. Como en todas partes donde se practica Cub Scouting, la mayoría de los adultos que participan son los padres de los niños que se benefi-cian con el programa. En el caso de Fútbol y Los Scouts, los entre-namientos y los juegos general-mente son eventos familiares donde hay diversión para todos y todos aprenden una mejor forma de vida a través de Scouting. To purchase official Soccer and Scouting uniforms are available at the council service center. Contact us at 504-889--0388.